» Forum » All Pinball » Anyone Remember Just For Fun Arcade In Arlington Heights, IL?? » Anyone Remember Just For Fun Arcade In Arlington Heights, IL?? Anyone Remember Just For Fun Arcade In Arlington Heights, IL?? Anyone else in the area remember Just For Fun besides me? 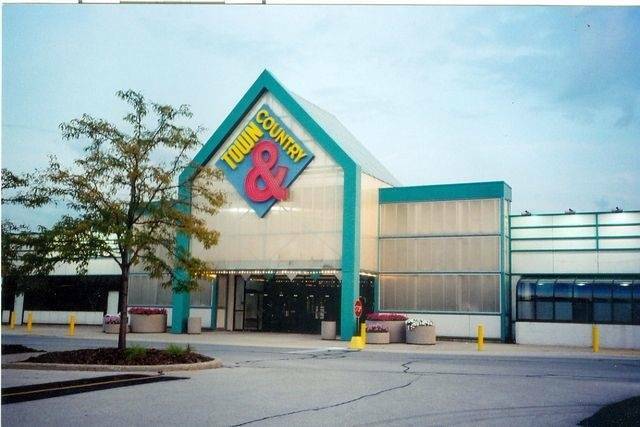 I found one picture online of the old entrance to the Town & Country Mall. Straight back was the theater, just before the theater was Just For Fun, and to the right of that entrance was the Garibaldi's Pizza. Who else remembers Just For Fun??? My local mall (Western Mass) had one called Just Fun. Maybe they were franchised? This was always a pretty good arcade. I think it was gone by like 1999 but they hung on to the old school arcade way of things. They never went all redemption or anything. Like all good 80's arcades they had plenty of ways to win tickets and the dude at the prize counter of course. But, they always lots of good arcade games and they were very pinball heavy. They always had the newest pins. I remember playing everything there. Whirlwind, Stargate, Safe Cracker, Medieval Madness, Mario Brothers, Monster Bash, Attack From Mars, Addams Family, Theater Of Magic, White Water, Funhouse, Cirqus Voltaire, Getaway, Taxi, No Good Gofers, Teed Off, Road Show, Fish Tales, Congo, World Cup Soccer, Champion Pub, Doctor Who, Batman Forever, Junk Yard, Diner, No Fear, Apollo 13, Dr. Dude, Game Show, Jokerz, Badcats, The Simpsons, and more. They usually had about 10 pinball machines at any one time. I remember falling in love with Discs of Tron there. There was also another arcade just NW of there on Rand. It was across the street from where Burlington Coat Factory is. Played a Zaccaria Time Machine there. LOL. Yep, used to spend time there, and at their movie theater, and Garibaldis. Went to school at PHS. I don't remember the arcade across from Burlington Coat Factory at all! How long ago was that one? You remember what it was called? I remember before it was all developed with the Trader Joes and the Barnes & Noble Etc... That there was some old motel there and don't remember what else, I thought nothing, like just overgrown lots. I had a "rich" aunt who lived up there (south siders, anybody who lived north was rich lol) and we went to the arcade at that mall back in the day. I assume that was it, 1983 or 1984? Does that sound right? I remember only seeing the occasional movie there. Was in Just For Fun all the time! Garibaldi's if it was a birthday or after little league. That Garibaldi's was the best, they had the viewing window where you could watch the pizza guy spinning and throwing the dough in the air. Oh and can't forget about Service Merchandise on the end of that mall! 100%! It opened in like 81. Just for Fun and Garibaldi's for sure! I didn't make it there as much because Gala Bowling Alley (which was just torn down ) had Galaxy World and it was just down Rt. 64. Although Galaxy world had many more video games than pinballs. They usually had about 6 pinballs it seemed. Near the Rand & Dundee radius was, Games America, Galaxy Gameroom, Nucio's. Sometime from 80-85. Games America was the only one with pins as I recall. Harlem and Foster in Chicago had a Just for Fun. This was my arcade. I loved it. It had these Star Wars like oval windows and tons of rad games. I was recently looking to see if I could find some tokens from this place. That T&C picture is from the 90's update. There was alse a Gamer's Paradise there where we would get NES games, and weird bootleg NES controllers. If I remember correctly they were a test location for B/W. I think that is where I played RFM on test. 80 to 85 I would not remember. Born in 80 so my first memories of Just For Fun was like first grade 87. I had like every birthday from 2nd grade on there so 88 to 93 was my hay day and still went through high school until they closed in I think 99? Totally remember those bubble windows. Pins were always right up front and to the left, prize counter to the right. So many vids throughout. Couple air hockey in the middle, skee ball along the side toward the back. I remember the Gamer's Paradise and the ice cream place. Radio Shack was in there too! Well I do remember very clearly that they always had the newest and best pins as soon as they came out and I remember them always being Bally/Williams heavy on pins. I can remembered playing Safe Cracker and Medieval Madness when they VERY FIRST came out. It was a couple of buildings to the left of the Car Wash. They always had tons of cocktail arcade games in the center. I remember it well because my Mom always shopped at that Marshall's that used to be there and I would bug here for a couple of bucks, cross Rand and hit that arcade. It wasn't there long, the location was terrible. My brother and I used to sneak across Palatine Rd in the summers to play during the day (we weren't allowed to). I remember getting busted after my mom saw me walking home with an ice cream cone from Garibaldi's in my hand. Most of my allowance went there every week. The tech there when I was little actually works with me at Raw Thrills now as one of our Producers. Boy my memory is not good on this one. I don't remember the car wash. So we are talking south of Rand and West of Arlington Heights Road? I am thinking you're talking about where the Binny's is right now. That is awesome! Did you live north of rand then? Yep, grew up on Pinetree. Love Pat! I bug him at least 3 times a day ... Every day! Boy my memory is not good on this one. I don't remember the car wash. So we are talking south of Rand and East of Arlington Heights Road? I am thinking you're talking about where the Binny's is right now? NW of Arl Hts Rd & Rand. Car Wash is still there. Building might be a mattress store now. Hahahahahaha that is awesome! Bug him all day Monday for me! Tell him Anthony is going to drop off his Cruis'n for Eugene to fix. Needs a cap kit. OHHHH OK now I know where you are talking. That's a tad farther west. I was thinking literally at the intersection. I have now added this up! I used to live by that area (Arlington Heights) a couple of years ago. When I got there... most of the mall stores already closed shop - looked like a ghost town. I recall going to Just for Fun at a mall in the Lombard area. Many games of Taito Gladiator being played there. I remember that arcade and eating at Garibaldi's. Played NBA Fastbreak first time there. Didn't it close ~10-12 years ago? I live like 5 minutes from that mall now. I used to hang in a different area growing up - Norridge. I went to Just Games, Aladdins Castle, Axel Roller Rink, Dennis's (Cumberland/Lawrence), and a handful of bowling alleys to get my fix. ifpapinball are you the guy I bought my RFM from years ago? Designed gun for Raw Thrills Terminator? Nope, that was Bob Yoest (mechanical engineer). LOL That's him, Bob. Solid guy. I recognize your name, though don't think I've had the pleasure of meeting you in person. I hear your pretty good at pinball. I remember playing Fastbreak there too! They had 2 machines linked with the topper and everything. I think later on they went down to one Fastbreak. My last memories of Just For Fun being open was like 99/2000. Could have been there longer though. I remember the movie theater closed first. And by that time the rest of the mall was dead. I THINK Garibaldi's was the last thing to go then it all sat for a few years before they revamped it with the new outdoor only layout and the bigger stores.